No, I didn’t get another flat tire, but I was able to get Wanda’s flat tire fixed. Luckily it was only a nail and not a slash in a sidewall, so it was an easy and cheap fix. 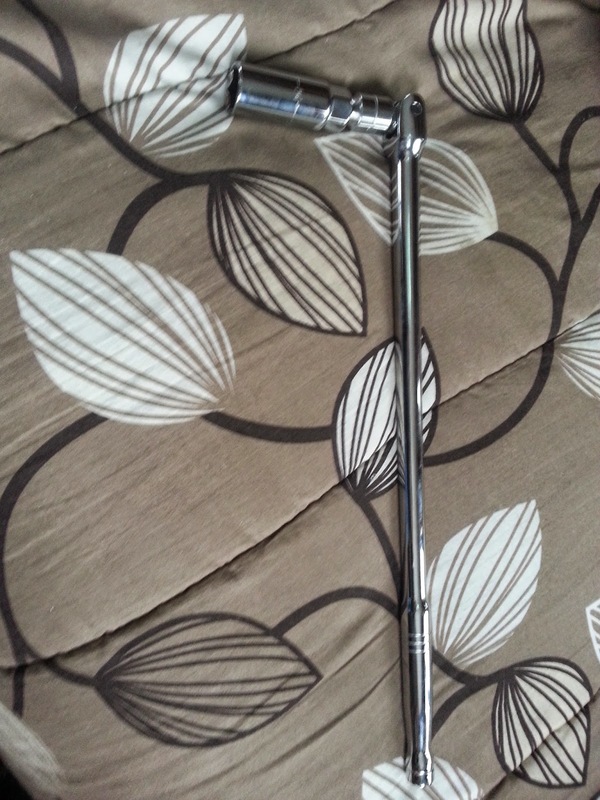 I was determined to get a lug wrench so I would be able to change my own flat tire again. The next time I may not be in a campsite but on the side of the road, with no helpful neighbours around. 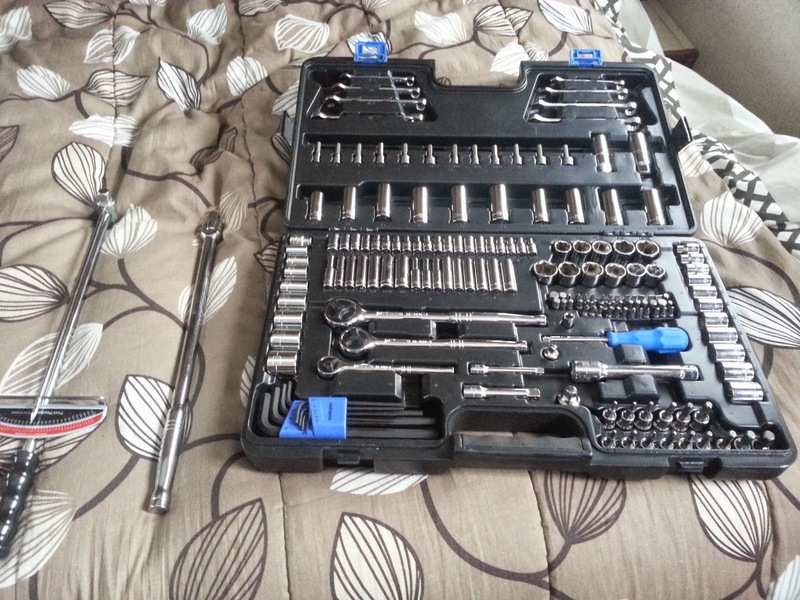 None of the lug wrenches would fit, nor would the “special sockets.” I tried and tried all manner of combinations but ended up getting a new socket set. Did I get a cheap one? Nope, not because I demanded quality but because the cheap socket sets didn’t have the socket big enough to fit. I ended up getting a 200.00 socket set just to get that one socket. Then I bought a torsion bar (a bar with an end to fit sockets to) so I could put a lot of pressure on it to get those lug nuts of or on again and not break the ratchet. Since I was in this deep I figured a few more bucks for a torque wrench wouldn’t be a bad idea. That way I can make sure all nuts are torqued to their proper amount. I am ticked that a simple lug wrench didn’t come with the trailer and I probably could have complained and demanded one. I also know that I probably could have bought just a socket and a torsion bar. I figured that I never wanted to be in a similar situation again. I never wanted to be anywhere without the basic tools to fix what needs to be fixed. I didn’t put this on the card but used the overdraft, I will pull myself out of it in a payday or two but I will keep that first card paid off and my paydown on track. Once more, I shall continue to live on a limited budget as I continue to get my finances in order. I will spend today finalizing my record keeping for the year that was 2014. I will then close it off and come up with a report of sorts on how things went and what I spent on what. It should be eye-opening and interesting, if a bit embarrassing.